This series is all about making the most of the Big Apple. Each Month, we'll come up with some fun ideas on what to do, eat and buy in NYC. Sure, Momtrends is a national resource for moms, but since our offices are based here and more than 10% of our readers are from the tri-state area, we decided to come up with some fun ideas for you. After all, we are known for trend-spotting and moms are always asking us what to do here in NYC. Save the date and get your tickets for the the largest baby show for new and expectant parents in the country. No other event provides a better experience for expectant and new families from New York and neighboring counties. 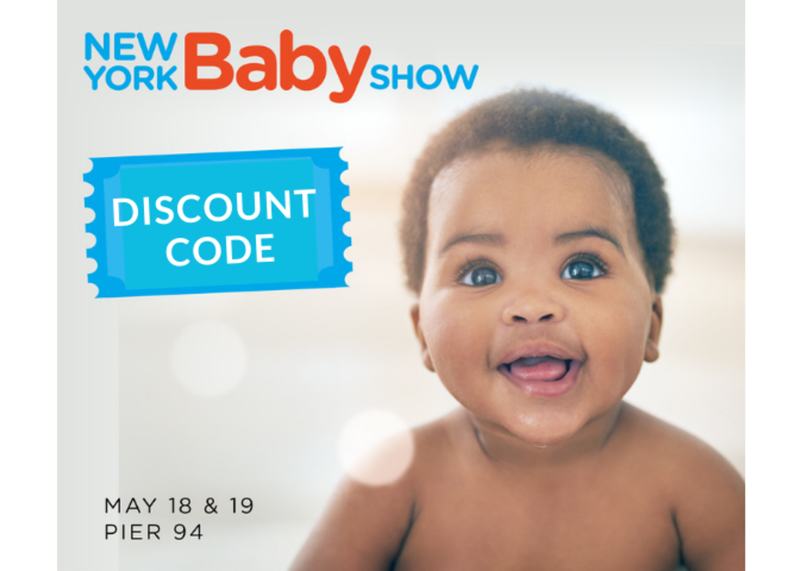 The New York Baby Show is a family-friendly jamboree of top brands, great speakers and seminars, big giveaways, and lots of learning, support, bonding, and fun as you make your way into parenthood. We're sharing a special 50% discount for the Momtrends Community. Normal ticket price is $30 per family (for 2 adults and up to 4 children), and $20 per individual. Click here for discount. Check out the new NYC-centric Half Life series. 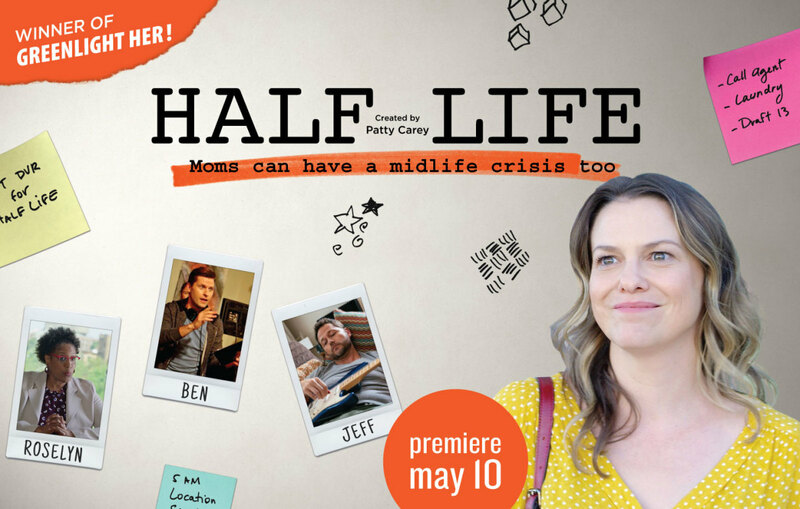 Half Life is the story of a NYC location scout, wife and mother, “Patty,” who decides to pursue her dream of screenwriting on the eve of her 39th birthday. The four-part comedic series won the Mayor’s Office of Media and Entertainment’s (MOME) first-ever TV pilot and scriptwriting competition #GreenlightHer. Half Life was created, written and executive produced by Patty Carey. The series will premiere on May 10 on NYC Life, the city’s flagship channel. The series shines a light on the challenges of working moms, the film industry, and gender inequity through a fast-talking, comedic lens. Starring Larisa Oleynik along with Nancy Giles and Finnerty Steeves, the series follows “Patty’s” journey to creative freedom and her highly relatable struggle, as she juggles her day job, her family and her dreams. Welcome spring with a spin around the rink with this budget-friendly outing. Kids skate for free every Monday (includes rentals and admission) now through April 22, when accompanied by a paying parent/guardian. Kids skate rentals are free (general admission ticket not included) during The Rink’s final week of operation for the season: April 18 - April 25. Just mention “Spring Break” to receive this special during the dates listed above. 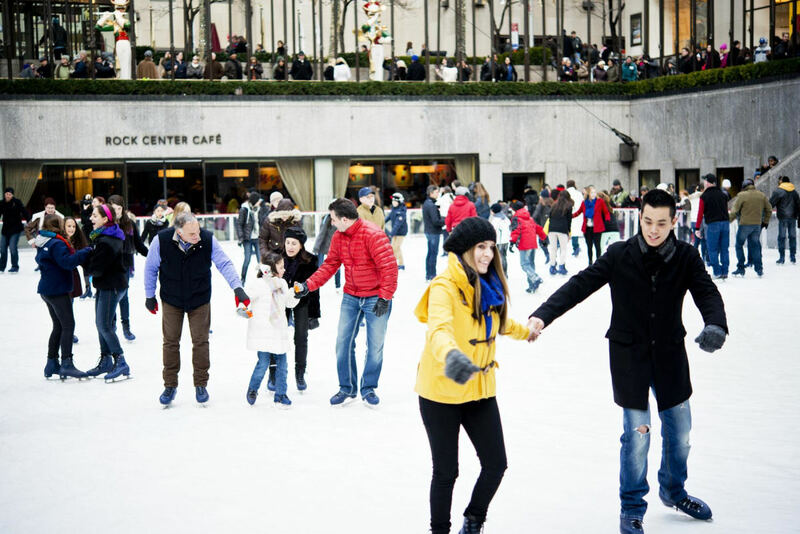 Location: The Rink at Rockefeller Center, 600 5th Ave, New York, NY 10020. 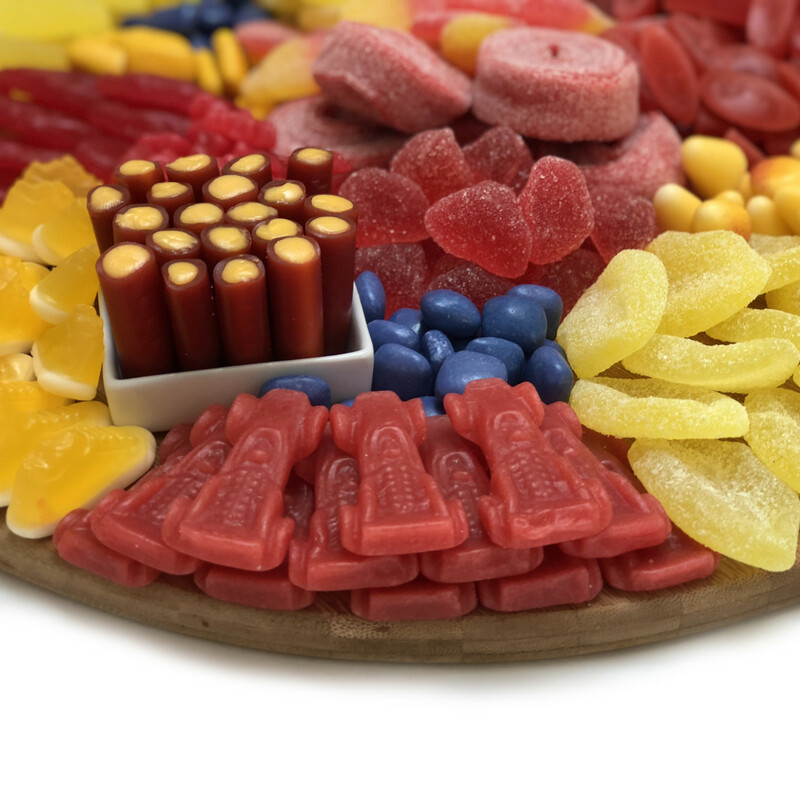 Indulge your sweet tooth after you skate. Afternoon Tea & Skating is a perfect mommy/daddy and me opportunity for kids. 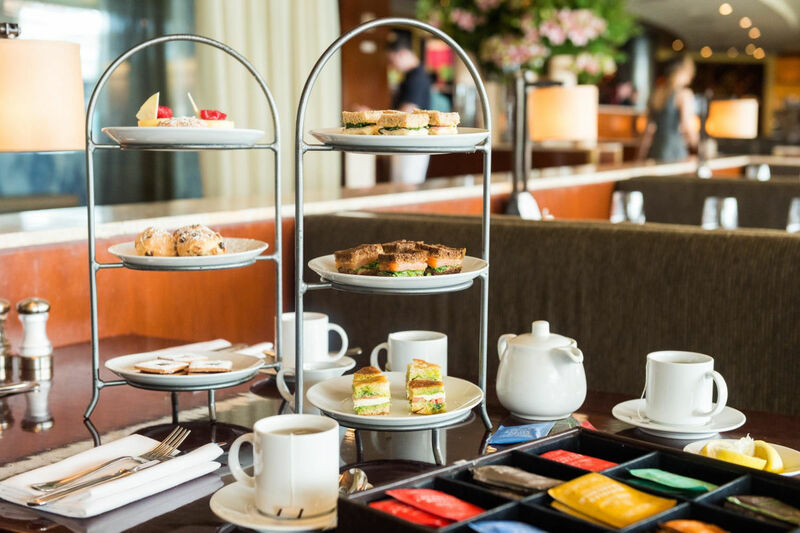 Head to the Rock Center Café and enjoy a variety of tea sandwiches including guest favorites like mozzarella and tomato jam on crostini, and ham and brie on a French baguette. Of course there are decadent desserts too, like a salted chocolate tart and red velvet cupcakes come in miniature form, allowing for that post-snack indulgence. All of this is accompanied by a selection of Harney & Sons Teas, hot chocolate with fresh whipped cream and Lavazza coffee. This classic New York experience is $45 for adults and $35 for children (plus applicable taxes) and only available until April 23, so guests are encouraged to book their reservations soon. R17 is newly opened and the only rooftop cocktail bar in NYC’s Seaport District. 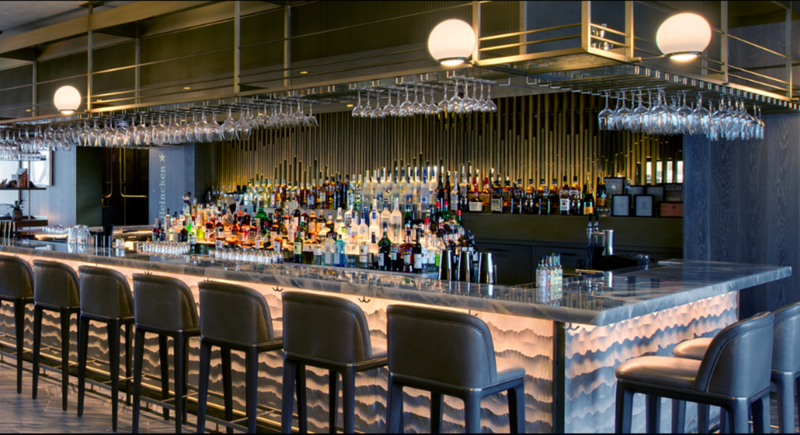 Service at R17 is friendly and efficient and the ambiance feels elegant without being stuffy. It could be a date night or a work outing location and it's definitely perfect for a girls' night out. 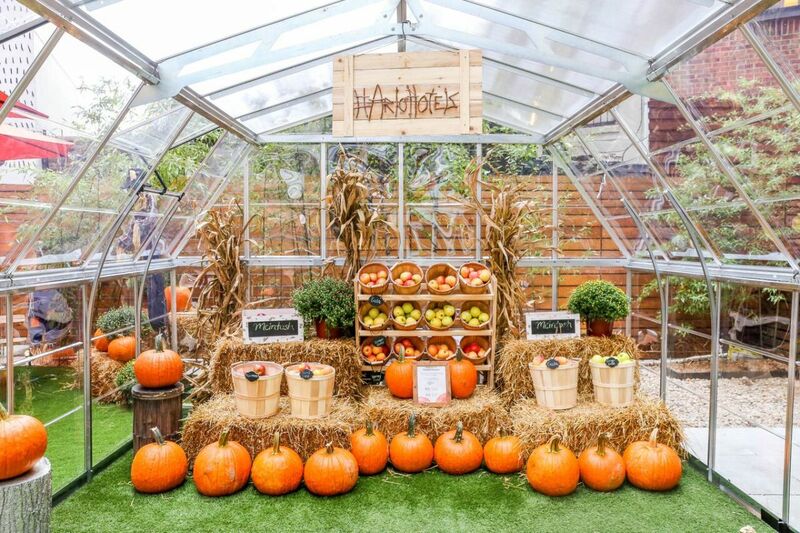 This October the Arlo SoHo is hosting a Harvest Pop Up in the hotel's courtyard (apple picking, pumpkin decorating, and more!). At the Arlo Orchard kids do the city version of apples picking and moms and dads can snap cute family pictures with the hay bales, corn stalks and pumpkins! Apples and pumpkins are also for sale. This event is a family fun fest that is a must-visit for fall. Be sure to pop into the Arlo's family-friendly restaurant, Harold's. It's perfect for family gatherings, Harold's has developed menu items to cater to kids with dishes such as the Veggie Meatball Mozzarella, Fish Fingers, Chicken Fingers, and more. If you're over cooking the huge family meal, Thanksgiving is family style at Harold’s. They will be offering a prix-fixe dinner menu for $62 per person with classic holiday comfort fare served sharing-style in a warm, inviting environment. The first course features a Holiday Antipasti, followed by Roasted Turkey, Italian Sausage, Ham Steak, Green Bean Casserole, Mashed Potatoes, Traditional Stuffing, and other fan favorites. For dessert, Harold’s will be serving the traditional Pumpkin and Pecan pies, as well as an Apple Cobbler and a Cranberry Cheesecake. The first time in the USA! This exhibit is perfect for all Potter fans. 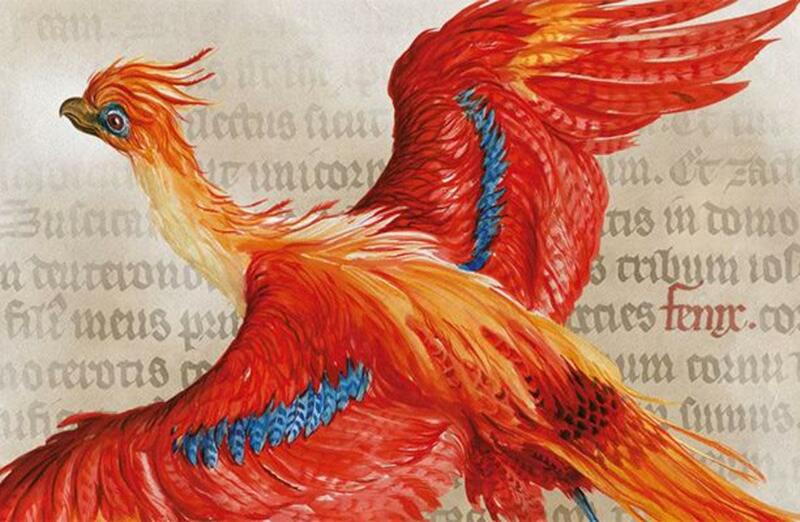 Take a look at Rowling’s handwritten first drafts of The Philosopher’s Stone and Deathly Hallows, her hand-drawn sketch of the Hogwarts grounds, and portraits and sketches of some of the Hogwarts’s professors and magical creatures created by British illustrator Jim Kay. I want to see how this geniuses mind works. 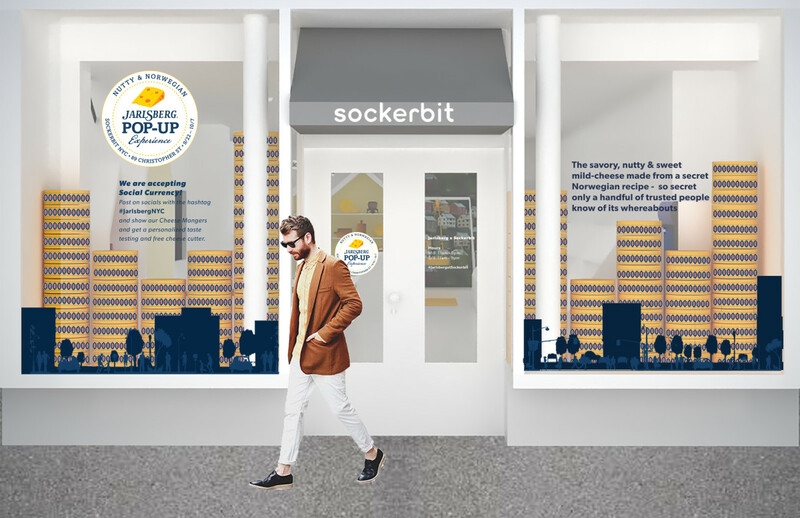 The only thing we love more than a fun, interactive pop-up shop is an awesome event with a delicious cheese plate. And that's why we're excited about the Jarlsberg Cheese Pop-Up Shop coming to NYC, September 22 through October 7. So grab a date, take the kids, and anyone else who loves cheese (and bring your appetites). You'll learn all about Jarlsberg’s rich history, which dates back to 1956. There are lots of interactive areas to take photos (say CHEESE!) and awesome ways to get cheesy. 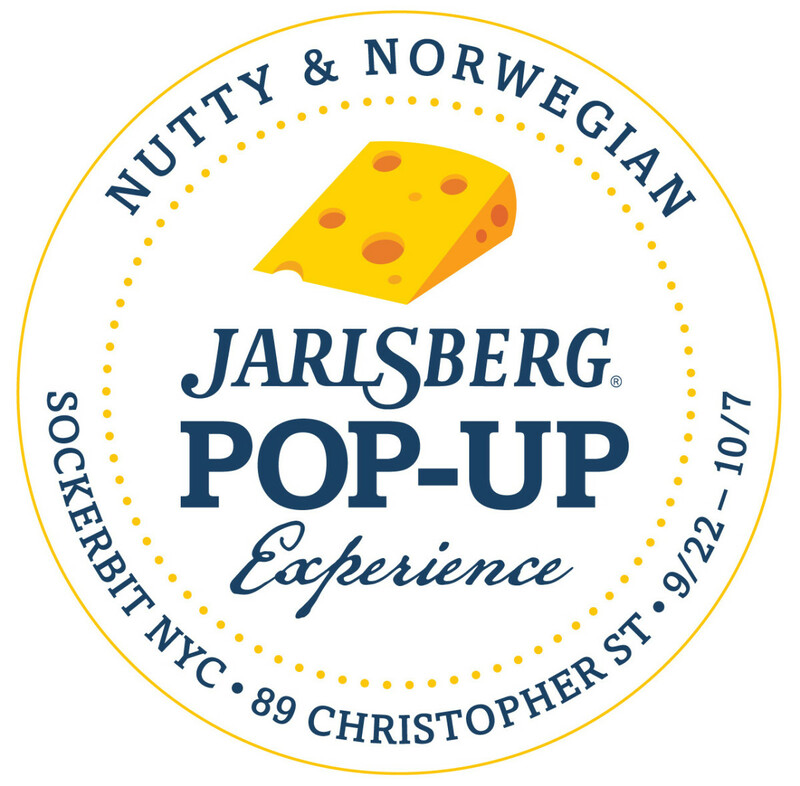 Details: The Jarlsberg Cheese Pop-Up Shop will be open in Sockerbit on Christopher St. in NYC, from 11 AM - 8 PM. Follow the fun using the hashtag· #JarlsbergNYC. This is a sponsored event announcement. A fully immersive NYC experience—that’s what tourists are looking for when they come to the city that never sleeps. Sightseeing that puts you into the scene and gives you an energetic and authentic look at life in the Big Apple. A 360-degree view above the crowds—from uptown to downtown to Brooklyn, the Bronx, and everywhere in between. When you book a trip to New York City, you can hop on, hop off, and see, touch, and experience everything in a Topview NYC bus. There are 40+ stops near all major attractions and five routes to see the best of the best during the daylight and nighttime hours. Plus, there’s a free Liberty Cruise to see the Statue of Liberty up close. Bike rentals and admission to the Museum of the City of NY are included. The guides are all experience and knowledgable, but audio narration is available n eight different languages—with free headphones provided. Plus, they even give out free ponchos to keep you dry on rainy days. Check out our recent #TrendsBus event in NYC. 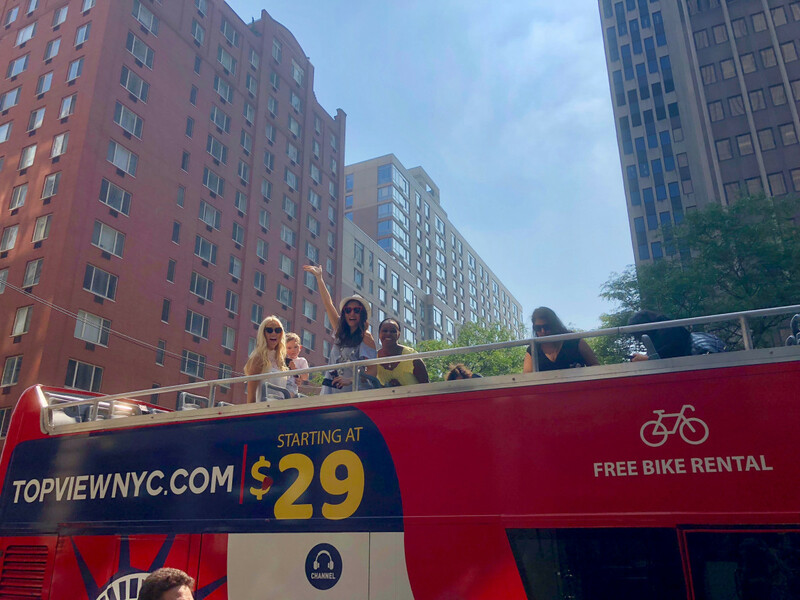 We took a bunch of bloggers on a Topview NYC bus to check out some awesome trends! Our new favorite healthy chain in NYC is Dig Inn. 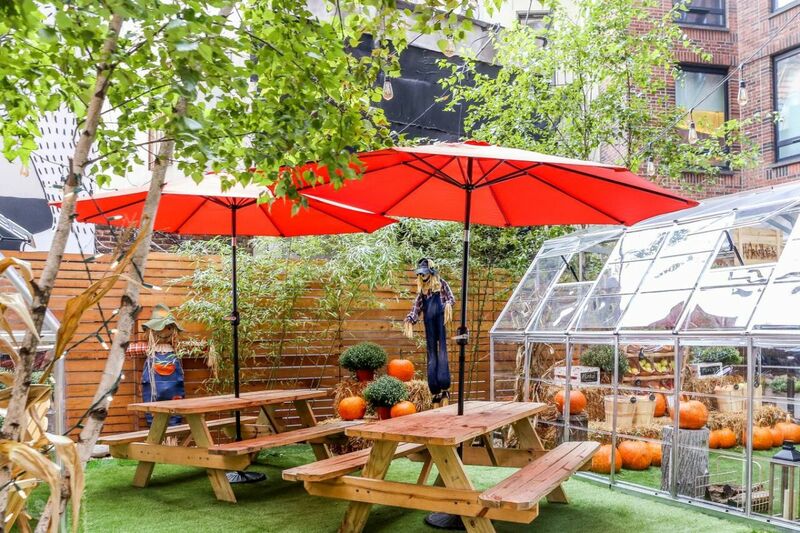 Get the full Momtrends review here https://www.momtrends.com/travel/where-eat-with-kids-nyc For the most part, you're going to find whole foods on the menu. There's not much that's processed; at Dig Inn it's flavorful, colorful and tempting as can be. Details: 22 locations in NYC (including the Williamsburg location which I visited. Get the full list here. Momtrends Pick: Don't miss the sweet potatoes and kids AND adults love the Mac & Cheese. Blushington is the best way to get a flawless makeup look fast. Blushington has been helping women with makeup since 2011 they offer full beauty services including putting lashes on. They have expert makeup artists and estheticians who can attend to almost every beauty question you have and the stores are stocked with the products they use in store. A big trend is booking a subscription to Blushington, this is how you can make sure your makeup is instagram-ready every day. 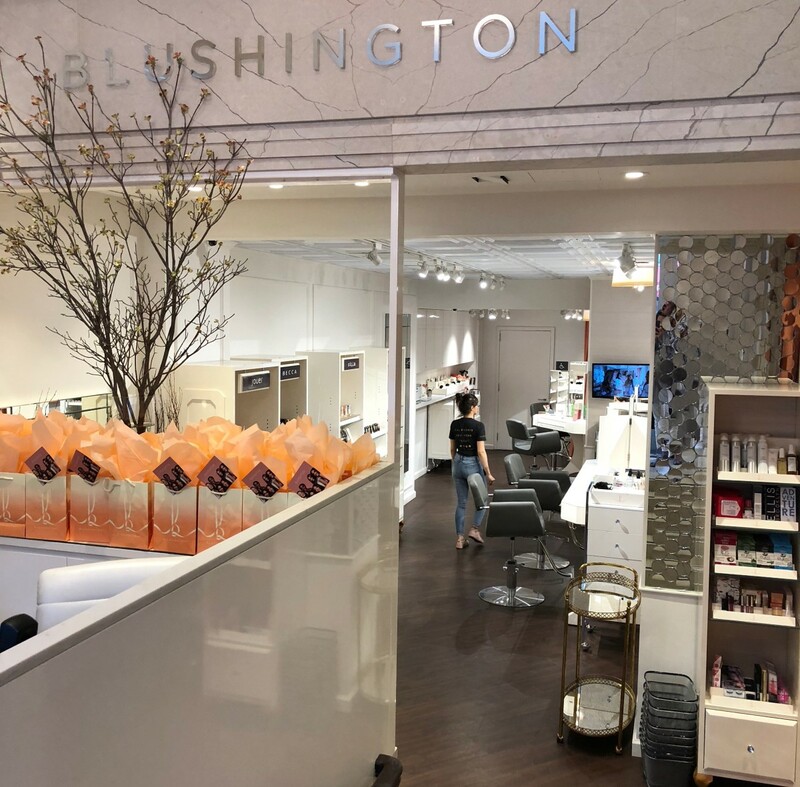 Find out more about Blushington in our full post here. Momtrends Pick: Get the Tata Harper facial add-on before your makeup application. Don't let the kids have all the fun this summer. Try this ice cream that is purely for adults. 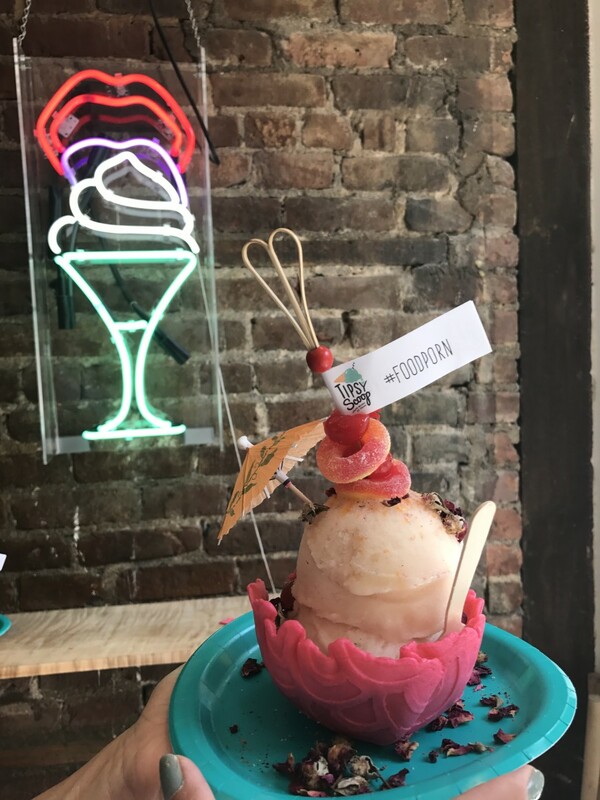 Tipsy Scoop offers liquor-infused ice cream with fun flavors that are inspired by classic and contemporary cocktails. Why all the fuss? The ice cream is yummy and inventive. It's all lovingly made with local and seasonal ingredients and is definitely something to share with a friend. We ordered two different flavors, the rosé and the mai tai. They are super sweet and delish and a little too much for one person to finish. Momtrends Pick: Try the rosé on a hot summer night. Go before 6! It's a trendy spot and the lines do form. The hottest ticket on Broadway isn't Hamilton anymore. It's an import from London; a new two-part play Harry Potter and the Cursed Child by JK Rowling with a sparkling cast. 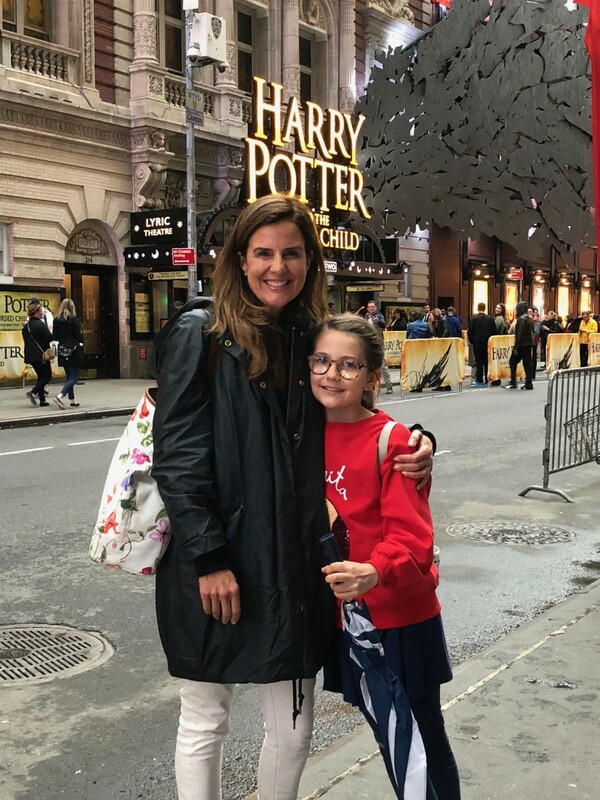 While I wouldn't suggest this play to anyone who didn't love the books and movies, if you love Harry Potter and Rowling's world, you are going to adore this play. The play picks up 19 years after year seven at Hogwarts. As you may recall, Harry and Ginny are married with three kids and Ron and Hermione have also tied the knot and have two of their own. We rejoin the cast at platform 9 3/4 as the next generation of Potters and Granger-Weasleys heads off on the Hogwarts Express. Harry Potter and the Cursed Child gives us what all great theater gives us - all the feelings. I think this show will become a hit because of the larger theme of how families struggle to let teens find unique paths. Momtrends Tip: Read the books before you go! The Jim Dale audiobooks are spectacular (Jim Dale is the actor who performs all the parts on the official audiobooks and he is nothing short of genius). If you buy tickets far enough in advance, you can listen to books 1-7 before you see the play. Read the full Harry Potter play review here. Enjoy 50% off your first membership at UrbanSitter.com valid for new customers through May 31, 2018. 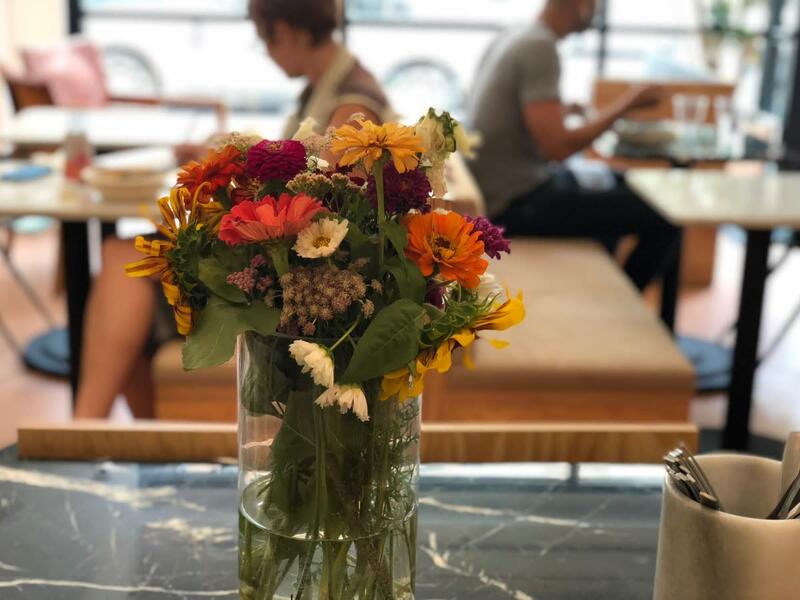 With Mother's Day comes flowers, but most of the bouquets won't last more than a week. Enter super chic bouquets that last UP TO A YEAR! Check them out at the Spring Market going on at Westfield World Trade Center. The market has 14 unique kiosks and three bespoke pop-ups like the Venus et Fleur shop. 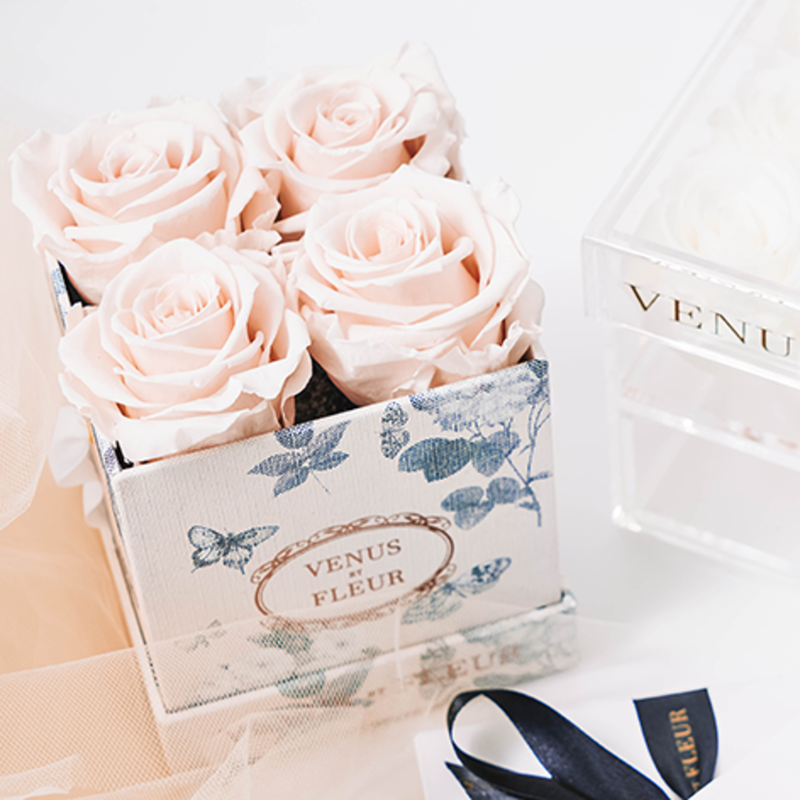 Venus et Fleur creates luxurious boxed flowers - roses that last a year. These special blossoms are from Ecuador, and the founders created a proprietary treatment that keeps the blooms fresh way past Mother's Day. This month you can check out Venus ET Fleur’s renowned Eternity™ Rose Collection in person in NYC. Get one for mom or if you are a mom, yourself! This is a wonderful way to bring color and light into your NYC home. Pop-up shop ends on May 31st. Visit the The Oculus at Westfield World Trade Center 185 Greenwich Street New York NY 10007. Momtrends Pick: The Venus ET Fleur’s Lé Petite Papillon box contains 4 beautiful Ecuadorean Eternity DE Venus Roses in a beautiful butterfly-print box. With absolutely no maintenance or watering required, the Eternity Collection will always look luxurious in your home. 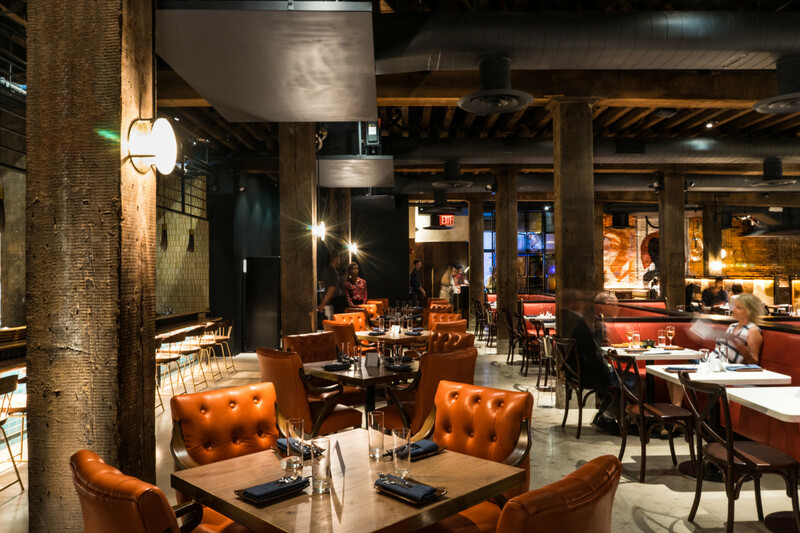 What you need to know: Weekends can get really crowded, arrive early and book a reservation. The closest subway stops to SUGARCANE raw bar grill are the F train to York Street, A/C train to High Street, or the 2/3 train to Clark Street. Momtrends Insider tip: Order the Brussels sprouts. Your mama never made them this good. This is the coolest exhibit in NYC. 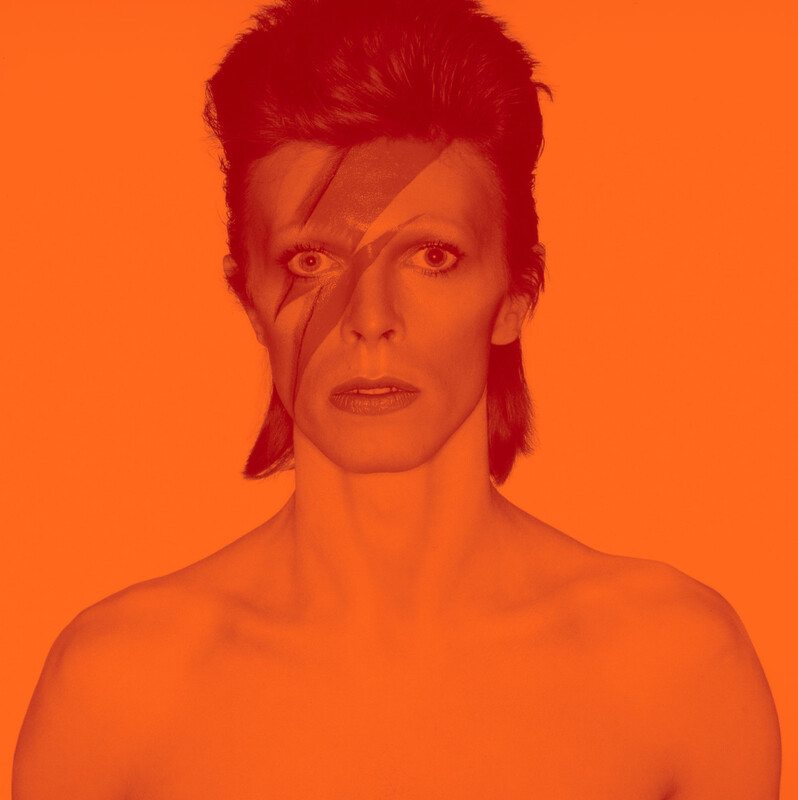 This immersive experience walks you through the early days of David Bowie's career as a mime, performance artist and musician. I was wowed by the clothes and all the hand-written material. Bring a Bowie fan and give yourself two hours to wander through. All tickets include Sennheiser headphones for a complete audiovisual experience. There's so much music and general awesomeness you will come out ready to create. What you need to know: Brooklyn Museum Members receive free, priority-access tickets. Special tickets offer priority access. Standard tickets are timed every 15 minutes. Advance ticket purchase strongly recommended. The show closes Jul 15, 2018. No tiny tots. Book a sitter because strollers are not allowed in the exhibition. Momtrends Insider tip: Book your ticket in advance, the lines are really, really long. I booked the the Ziggy Stardust ticket and got an amazing David Bowie Is catalog. Worth every penny and saved me three hours of my life.